WASHINGTON – Peace Corps Director Jody Olsen released the following statement on the passing of President George H.W. Bush. “As we pause for a National Day of Mourning today, we send our deepest condolences to the Bush family. We also express our tremendous gratitude for President Bush, for his leadership, his kindness and his lifetime of serving others. “George Bush was a steadfast friend to the Peace Corps and we will miss him dearly. His close friendship with Peace Corps Director Loret Miller Ruppe during his eight years as vice president made it natural for him to reach to out to volunteers whenever he or First Lady Barbara Bush traveled. 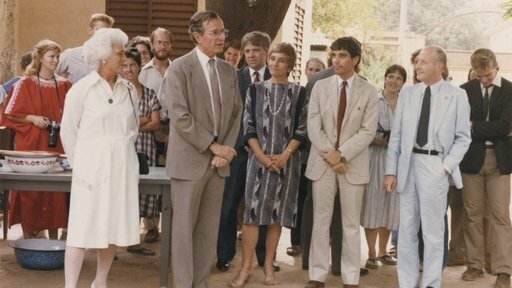 “He knew that Peace Corps could offer unique support as no other U.S. Government agency could. Subsequent to that historic ceremony, Peace Corps volunteers have served in 19 countries that were formerly part of the Soviet orbit.